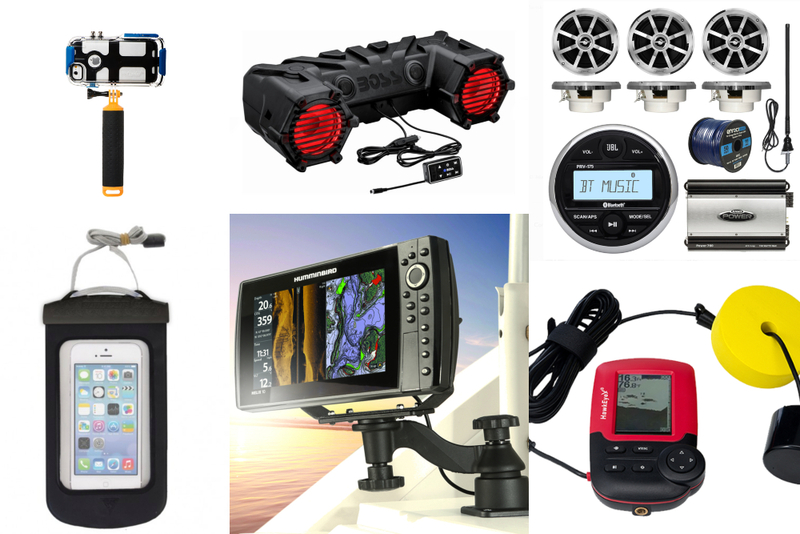 Another year of boating has come to an end, and once again, the industry's leading manufacturers have left us speechless and in awe of some of the newest boat models released in 2018. Oh, what a year it’s been. Boatbuilders, including Boston Whaler and Ocean Alexander, reported record sales at the Fort Lauderdale International Boat Show. Cruising and charter destinations from the Florida Keys to the northern Caribbean continued their comeback from the vicious hurricane season of a year prior. 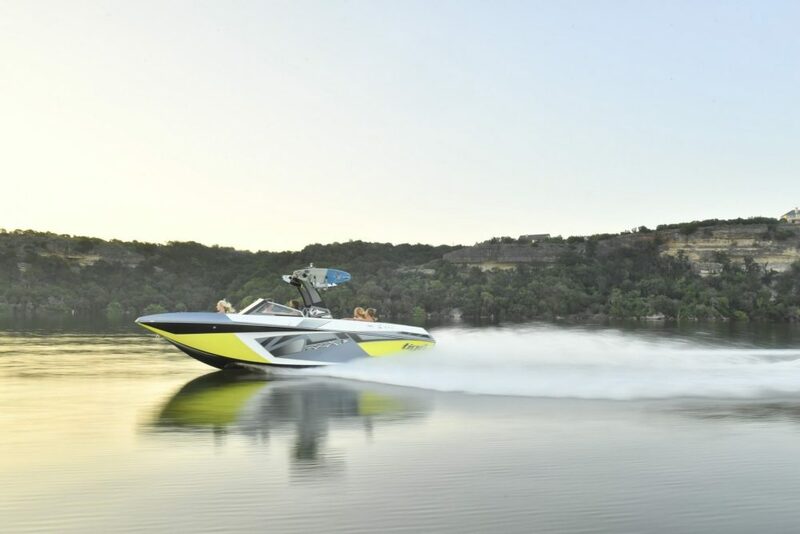 And new boats galore hit the waterways, offering everything from barrier-breaking top speeds to family-friendly features. 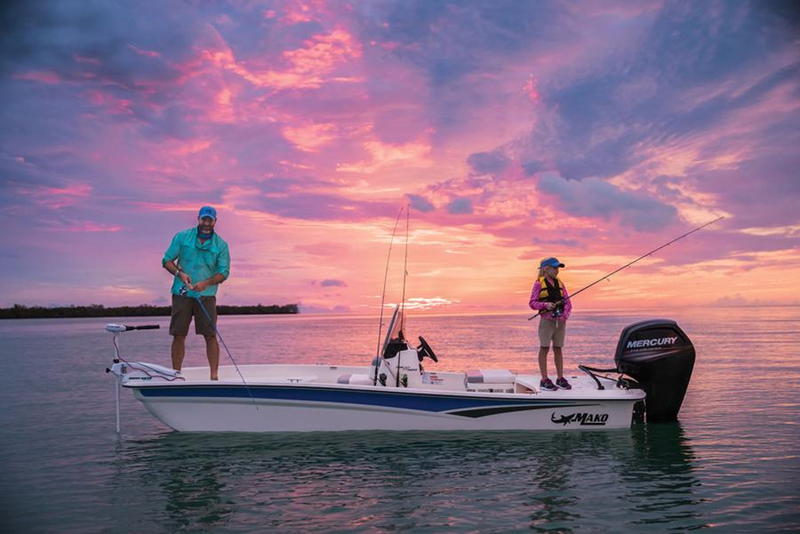 Here’s a look at 10 new boat models from 2018 that have stuck with us because of their looks, performance and amenities. 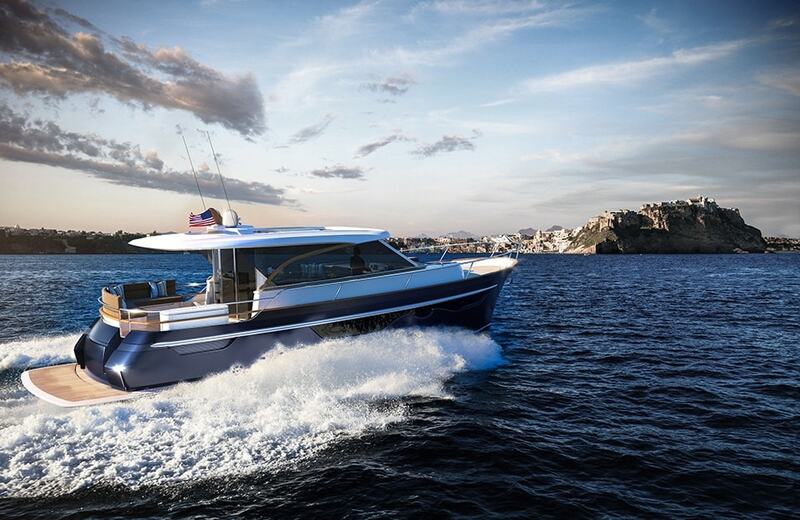 Wisconsin-based Burger Boat Company, known for generations as a quality builder of large yachts, moved into the midrange cruising sphere with the Burger 48 Cruiser. It’s an aluminum boat designed in conjunction with the Dutch firm Vripack, another company known for its work in mega-yacht circles. 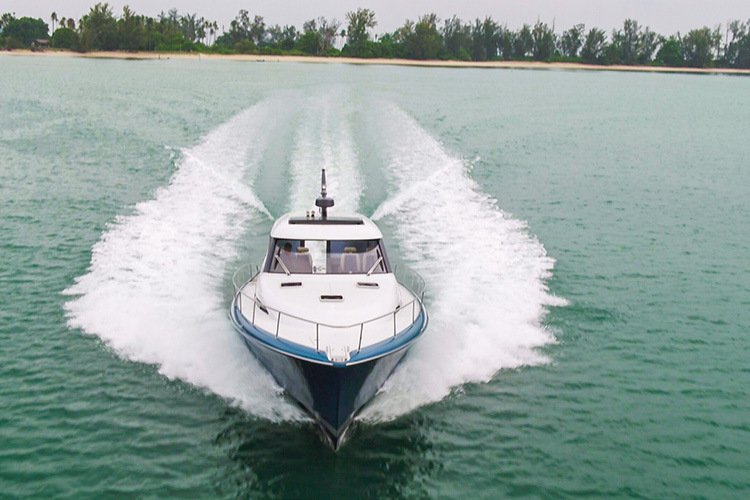 The two-stateroom Burger 48 Cruiser is spec’d with Volvo Penta’s IPS engines, with a reported 35-knot top speed. Maine’s Hinckley Yachts has long been known for its classic Downeast lines and elegant, traditional styling. 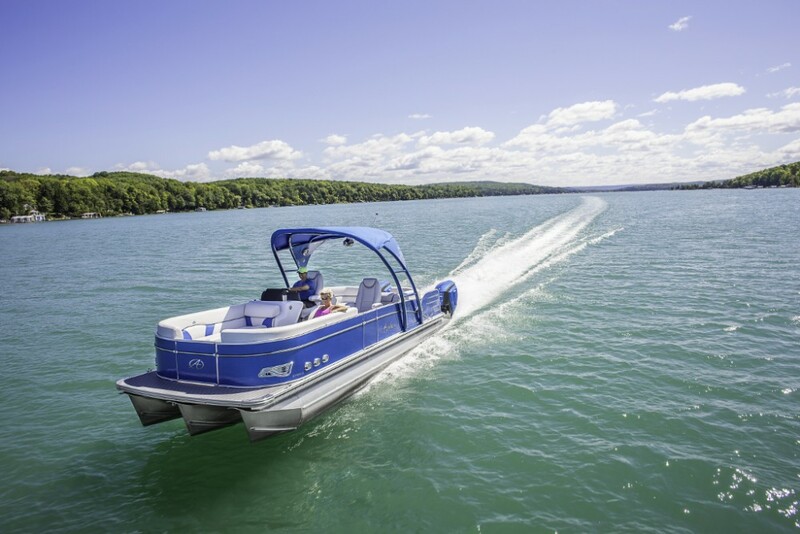 With the Picnic Boat 40—the new flagship in the Hinckley Picnic Boat series—the builder filled a classic package with more modern technology than on previous models. Overhead hatches open at the push of a button, there’s a second-generation JetStick for steering at the helm, and the starboard-side boarding door opens and stows with the click of a key fob. See all Hinckley listings, or read our review on the Hinckley Dasher. The Targa 43 Open is the new entry-level model in Fairline’s Targa series, whose bigger models are 48, 53 and 63 feet length overall. The 43 is an Alberto Mancini design with a 32-knot top speed, powered by Volvo Penta IPS engines. The interior layout can be customized, with two staterooms standard. Outside, sun-worshipers get two places to lay out: at the transom and on the foredeck. See Fairline Targa 43 listings. 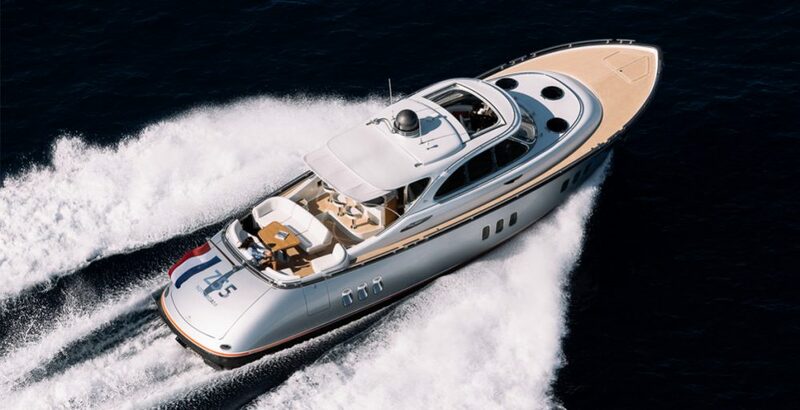 The Dutch boatbuilder Zeelander Yachts hosted the premiere of its fastest-ever model—the 42-knot Z55—at the Fort Lauderdale International Boat Show. 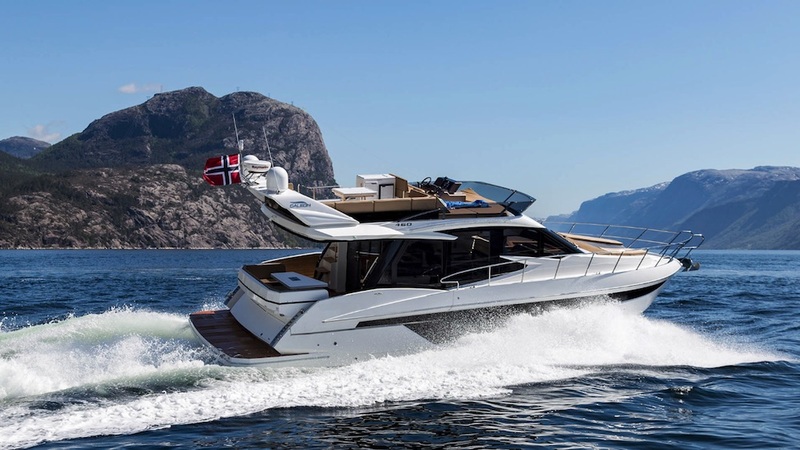 To get the 1,000 HP Volvo Penta D13 IPS1350 engines into the hull, the shipyard had to increase hull strength around the engine room and thicken lamination from the boat’s bow to amidships. Engine-room insulation was also bulked up, to reduce sound and vibration at higher speeds. Sealine jumped into the outboard-power trend in 2018 with the introduction of its first outboard-powered express cruiser: the Sealine S330V. It’s part of the builder’s Sport series, with 300 HP Mercury Verados coming standard and 350 Verados being an option. 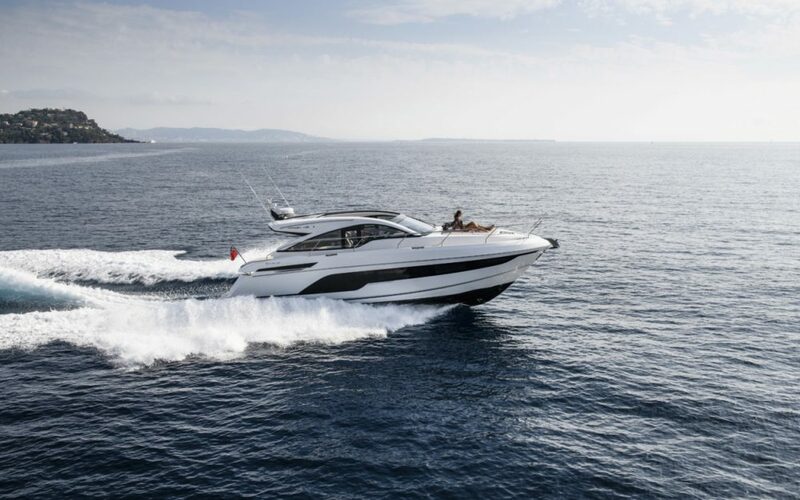 According to Sealine, the S330V can hit 36 knots (or 38 knots with the optional power plants). Inside, for weekends on the hook, are two staterooms, one head and a galley. The Palm Beach GT50 made her debut at the Fort Lauderdale International Boat Show, sporting a 42-knot top speed thanks to Volvo Penta IPS power plants. 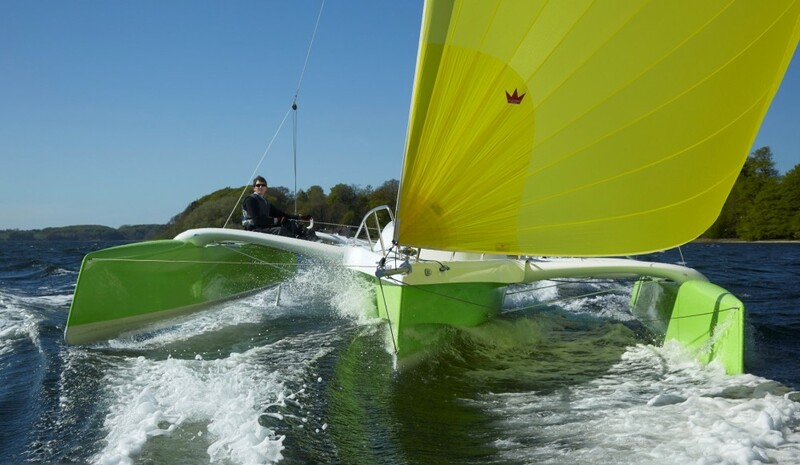 She has a carbon fiber superstructure to keep weight low and increase performance and stability, with carbon fiber also used at the helm station for a modern styling look. And while the GT50 had a strong premiere, Palm Beach isn’t done yet; look for a GT60 in autumn 2019 with a projected top speed of 50 knots. 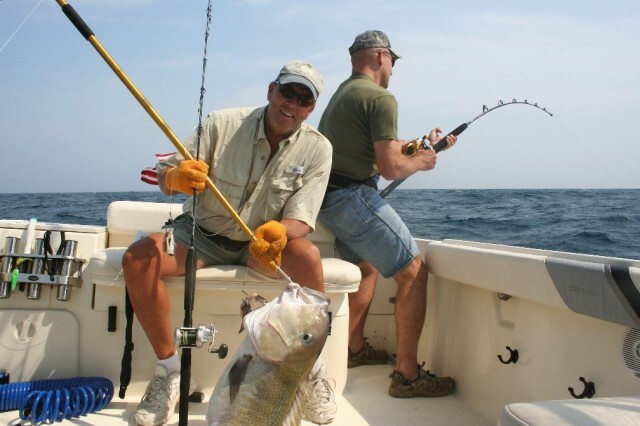 See all Palm Beach Motor Yacht listings. Cockwells is known for using its British yard to turn out some of the most beautiful tenders on the planet. The 34-foot Titian Tender has a throwback look of Golden Age elegance along with modern-day technology and styling details. 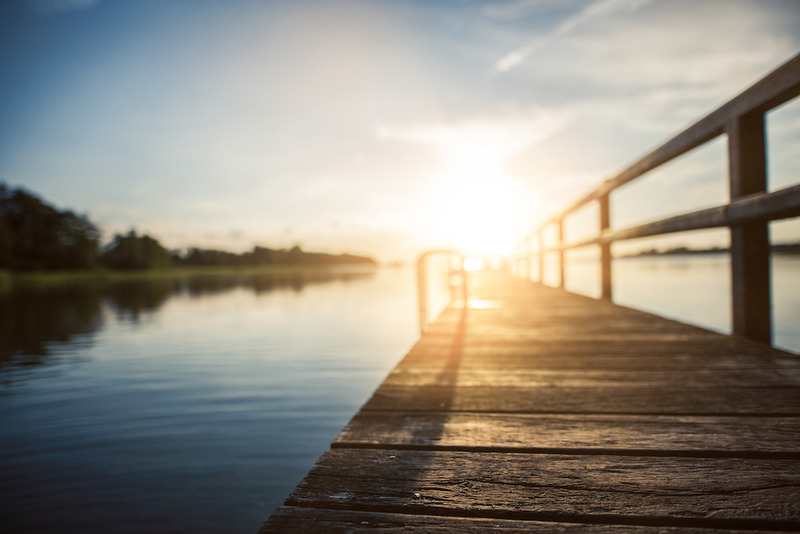 The carpentry is bespoke, owners can order original art for the interior décor, and fittings are done in stainless steel, adding a touch of big-boat elegance. The Titian Tender, as per her name, is designed with mega yacht owners in mind, but her performance makes her a great day boat as well. 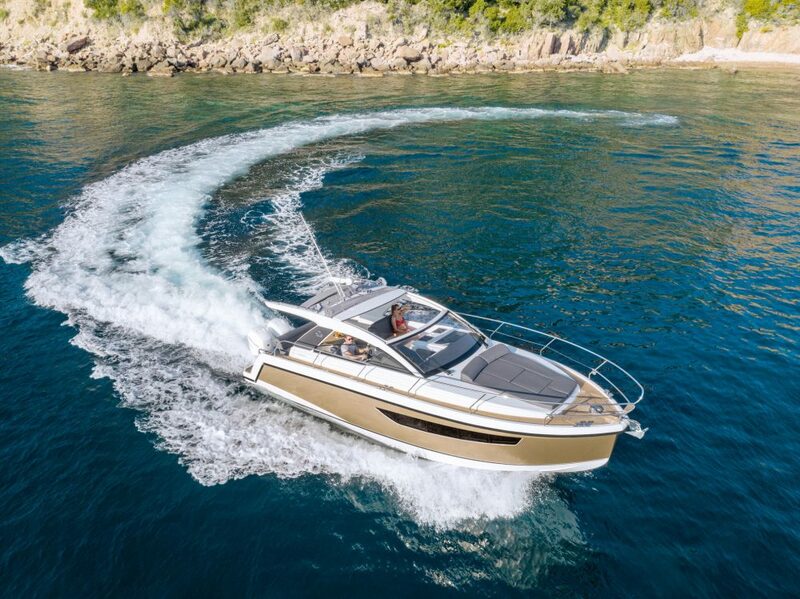 Poland’s Galeon Yachts unveiled the 460 Fly, part of a 24-model lineup that stretches from 30 to 78 feet length overall. 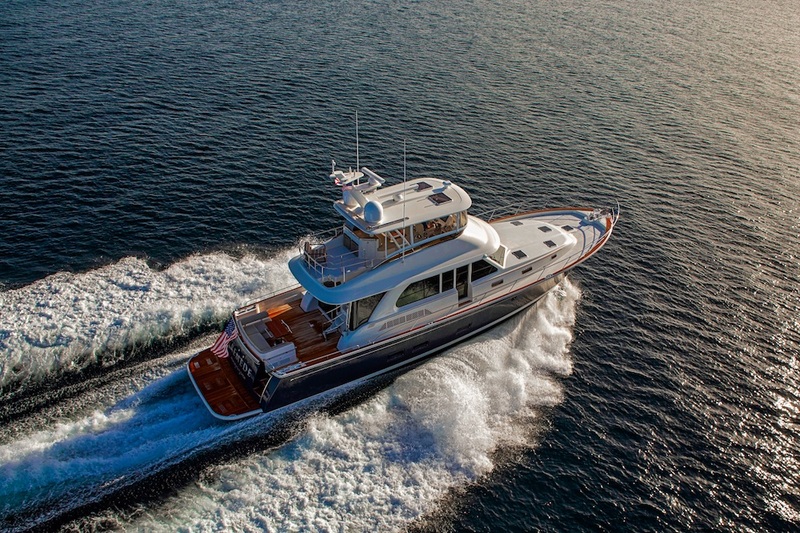 The 460 Fly is designed for family cruising, with a three-stateroom, two-head interior layout. The salon opens to the cockpit, creating an indoor-outdoor entertaining space, and the cockpit has an optional folding table and transom settee for dining at anchor (protected from the sun by the flybridge overhang). 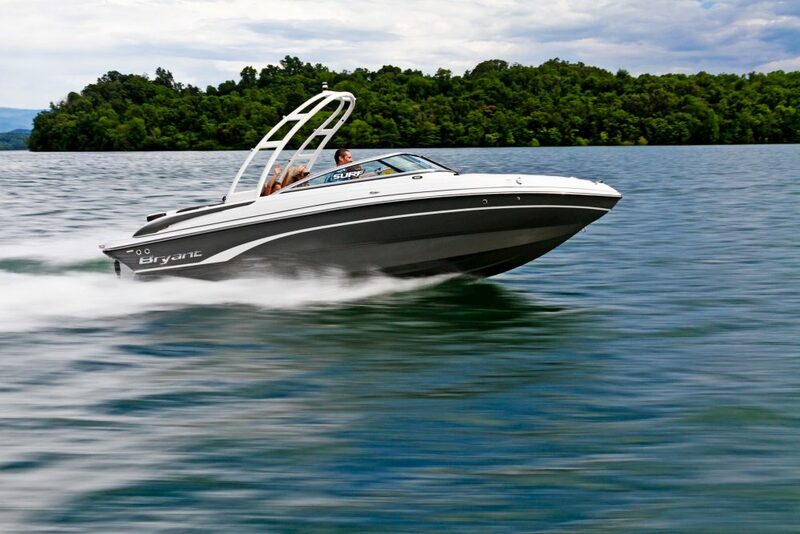 See Galeon 460 Fly listings. Cruisers Yachts offers five models in its Cantius line, with the new 42 being the smallest (and the biggest being a 60). The idea behind this boat was to combine European aesthetics with American ergonomics, allowing for things like a lot of space in the salon without making the exterior look pudgy. The galley is positioned aft, keeping it central to the salon as well as dining on the aft deck, and with the boat’s sunroof open, the feeling of indoor-outdoor entertaining is further enhanced. See Cruisers Yachts 42 Cantius listings, or read our full review on the 2018 model. The 66 Dirigo from Sabre Yachts is a semi-custom design available as a flybridge or salon express. She’s the new flagship of the Sabre fleet, dwarfing the now-retired Sabre 54 and allowing for more generous sizing when it comes to the three staterooms and three heads (one of which serves double duty as a day head). 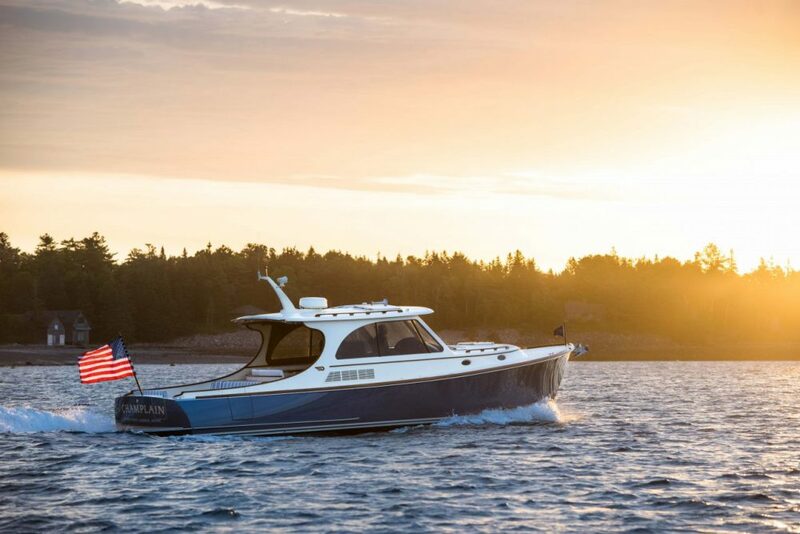 Power, as with so many new launches for 2018, is Volvo Penta IPS engines. Look for a cruising speed around 24 knots, based on reported sea trials so far.